When I rebuild a bike I ride it, and try to improve the way it rides. 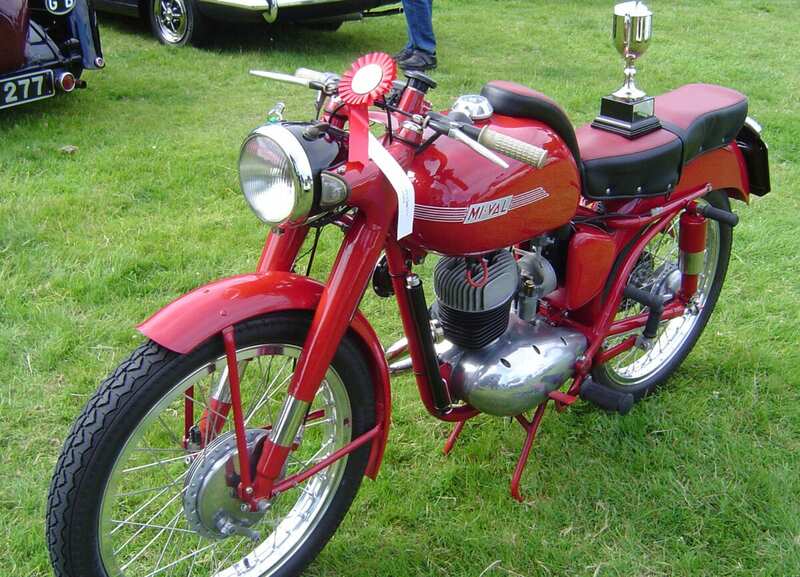 Petrol has changed quite a bit since these bikes were produced, so carbs and timing seem often to be the big issues. Originality may be important but getting you there and back on a run seems more crucial me than absolute originality. Some readers might recall my earlier piece about fitting a Chinese-made Mikuni to my little 1964 Gilera Giubileo. Subsequently the Gilera has started really easily and goes very well all the way through the rev range. It is doing something in the region of around 110mpg, which on its tiny tank (less than two gallons) means I can get somewhere around 200 miles on each fill up. All in all, a success. 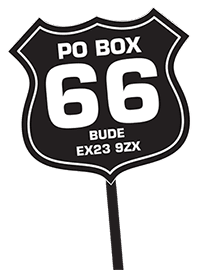 Bolstered by this, I decided I would try a similar exercise for a two-stroke – by 1954 Mi-Val. 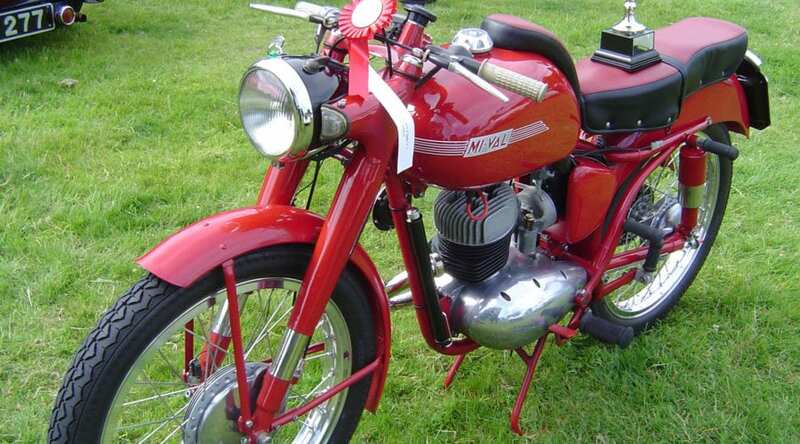 This bike’s engine is based on the DKW 125 and is very similar to the Bantam: two-stroke, minimal horsepower. During rebuild I noticed the lack of insulation between the cylinder and the carburettor. On its initial runs, it was sometimes reluctant to start. Then it ran pretty well until it was warm – and then started to misbehave. I changed the condenser, just in case it was failing when warm. Starting appeared to improve (that might’ve been my imagination, of course! ), but running when hot did not. It looked like the 60 year old Dell’Orto carb might be the culprit, especially as tickover was pretty haphazard. Last time I used a carb which was intended for a small-capacity paddock / pit bike, but these are mainly four-strokes so I looked further afield. Carbs for two-stroke petroil mixes have different jet and atomiser settings to their four-stroke brethren. What sort of engine might use a similar petroil mixture, I wondered? Maybe a Lambretta or Vespa? I opted for a Lambretta replacement carb. 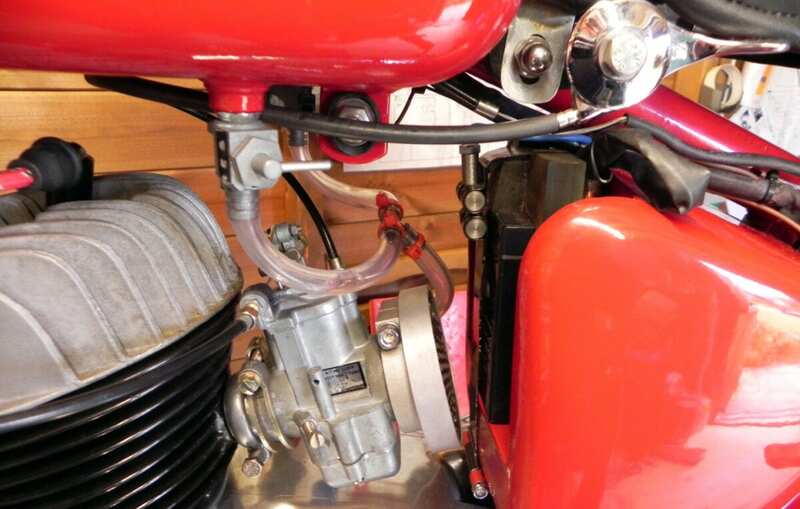 I installed an Indian-made Jetex carb suitable for a Lambretta 125/150. Lambretta production was transferred to India in 1972, so I worked on the assumption that they must by now have some good experience. My first impressions with this replacement are quite good. It’s produced easy starting with a proper choke operation. I used a standard, British bike-type choke lever, and got a cable from the local bicycle shop. I fabricated an air filter housing to take the original gauze from the old Dell’ Orto carb. This was simple but took quite a while, as I made it from 30mm thick, solid alloy block. Like a Dell’Orto, the Jetex lifts a choke plunger in the carb. 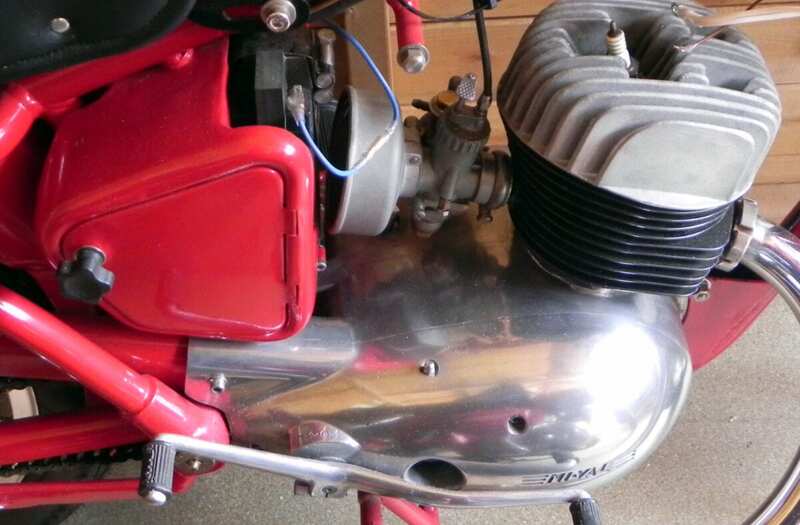 The Mi-Val now runs quite well with a small increase in power and pick-up – maybe due to the flat-side format of the carb, and it’s slightly bigger bore than the 20mm original fitment. It looks a bit odd with the cable coming in from the side but, at £34, I thought it was worth a shot. If nothing else, this operation has confirmed that the problem was carburation, not ignition or crank sealing. There are a few more tests to do in different conditions, but the initial indications are looking good.